care enough about yourself to make room for it in your life". ~ Jean Shinoda Bolen. SoulLight is based in the Richmond-Tweed (Northern Rivers) region of NSW, Australia. ​Debrah is also available to share SoulCollage® with you at any location in Australia. 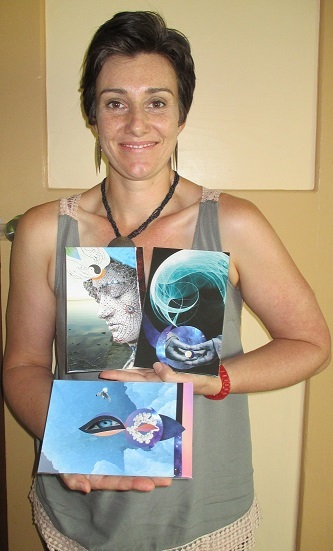 "SoulCollage® 1:1 - Personalised Sessions"
All materials are supplied by Debrah. 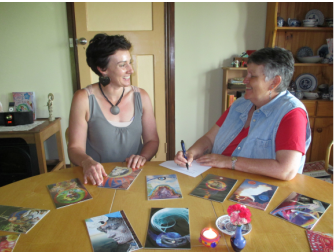 SoulCollage® sessions can be held in your home, my home, community venues, or in any organisational setting. All my offerings are available to small or large groups of any size or on a 1:1 personalised basis. My facilitation fee and participant cost depend on several variables and are negotiable. Prices stated below are indicative and may vary. All my SoulCollage® Offerings are based on the process described by Seena B. 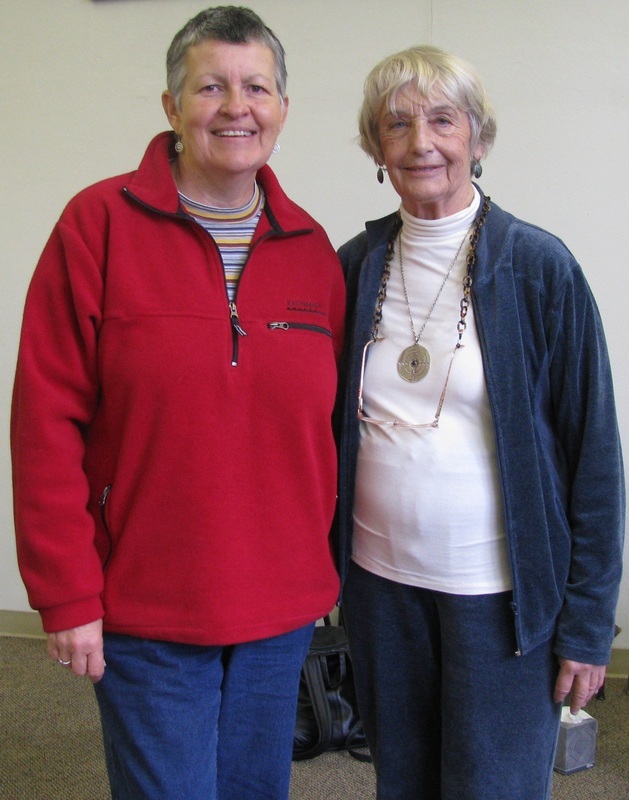 Frost, the birth mother of SoulCollage​®, in her book SoulCollage® Evolving and on the SoulCollage® website. 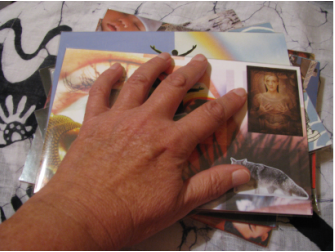 An introductory overview of SoulCollage®, including how to make, read, share and use your SoulCollage® cards. Relaxing, enjoyable, creative! 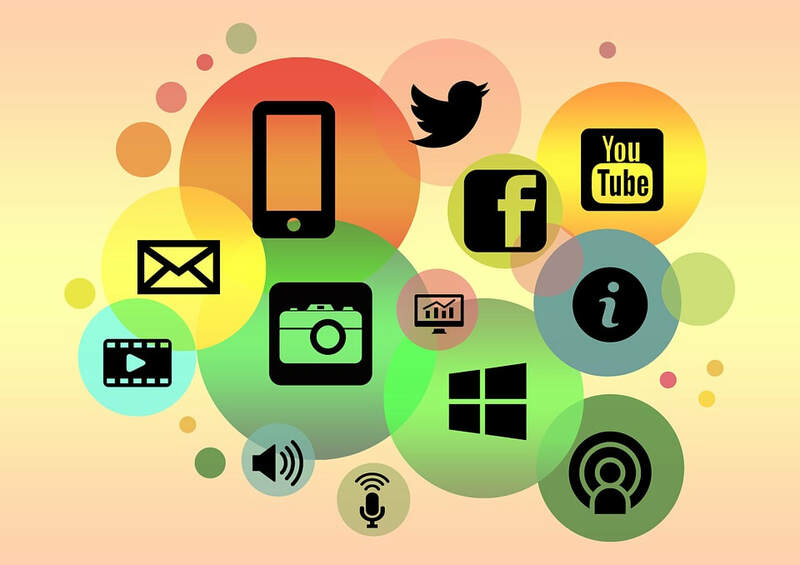 (Can be longer in duration; content and cost varies accordingly). An overview of SoulCollage®, including how to make, read, share and use your SoulCollage® cards. “My Inner Family”. Explore the Committee Suit of SoulCollage®, the psychological dimension of Soul. Discover your inner personality parts and make cards for these. “My Local Allies”. Explore the Community Suit of SoulCollage®, the communal dimension of Soul. 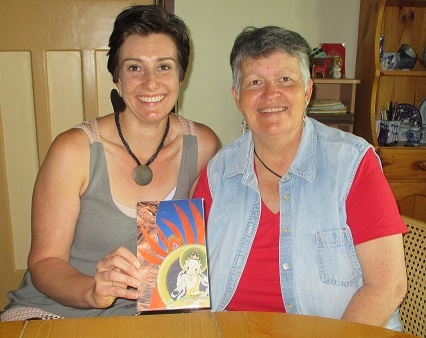 Discover your guiding sentient beings, teachers, loved ones and pets and make cards for them. Honour your ancestors and the current beings in your life. Bring along your own photographs to use in this session. “My Energy Guides”. Explore the Companion Suit of SoulCollage®, the energetic dimension of Soul. Discover and make a card for the animal companion in each of your chakras (energy centres). “My Archetypes”. 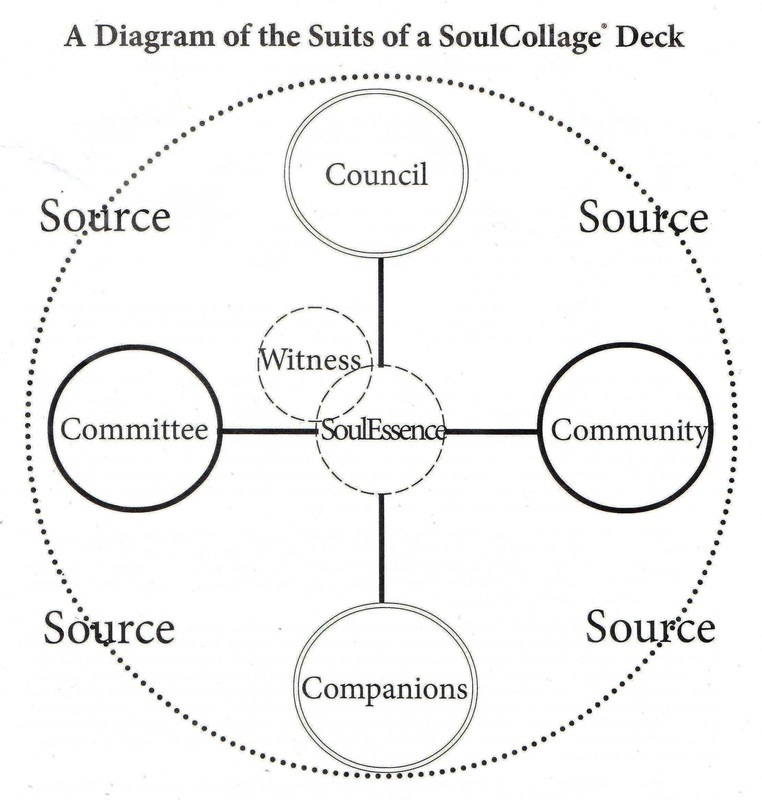 Explore the Council Suit of SoulCollage®, the spiritual dimension of Soul. Discover the archetypes that guide and challenge you and make cards for them. “Oneness”. Explore the Transpersonal cards of SoulCollage®. Discover your Source, SoulEssence and Witness and make cards depicting these. This is my most comprehensive course on the fullness of SoulCollage®. Learn ALL about SoulCollage®​. On completion, you will have a deep understanding of SoulCollage® and its practice and a growing SoulCollage® deck for your ongoing personal use. Have fun! SoulCollage® is a joyous and at times humorous process. You will even get to make a “Fool” card and other cards that explore the lighter and funny side of life. SoulCollage® is about exploring and depicting all facets of our life. Each session consists of information-sharing, discussion, a themed meditation or reflection practice, card-making, card-reading and journaling. Debrah, thanks for facilitating the process of SoulCollage Immersion so sensitively and professionally. It has truly been a wonderful experience!! ~ Helen Diamond, Ballarat, Victoria. ​Explore one of the SoulCollage® suits in depth - your choice of Companions, Committee, Council or Community (as described above in "SoulCollage® Immersion"). Includes a brief introductory overview of the SoulCollage® process. Explore the Transpersonal cards of SoulCollage® in more depth. Discover your Source, SoulEssence and Witness and make cards depicting these transpersonal aspects. Themed sessions can be organised for women only, men only, mixed gender groups, children only, teens only, age-based or open age groups, special needs groups, family groups, work teams, etc., etc., etc! It really is possible to SoulCollage® on any theme! 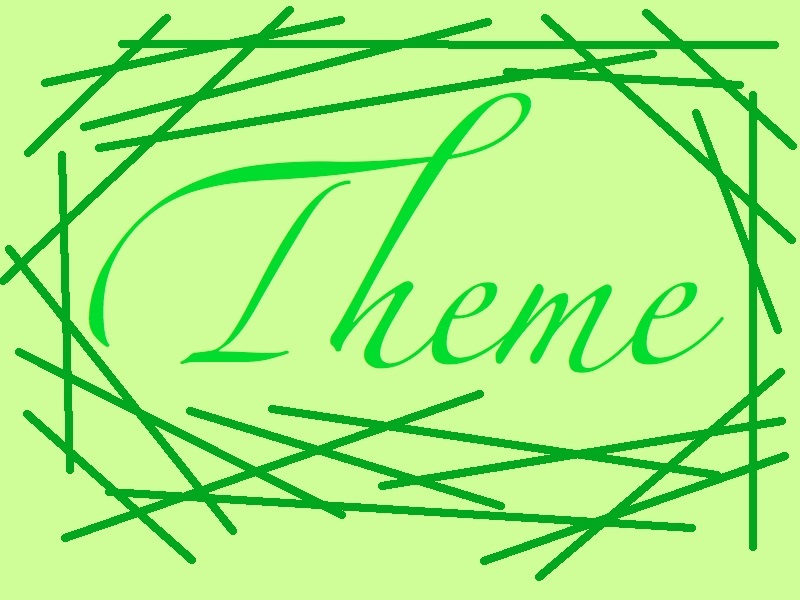 ​Feel free to ask me to facilitate your chosen theme. Many themes, occasions, or rites of passage can be explored, acknowledged and celebrated using SoulCollage®. Theme, duration, location and cost are all negotiable. SoulCollage® and Yoga are complementary practices, leading to greater self-discovery, self-understanding, creative expression, transformation and fulfilment in life. They are both practices for accessing your intuition and gaining deep insight, leading to wisdom, and while being abundant and comprehensive practices in their own right, they work well together and empower each other. 'Yoga' here, refers not only to yoga practices but to yoga philosophy, yoga psychology and yoga lifestyle - the way we can live our day-to-day life in such a way as to facilitate our process of evolution on the spiritual path including observing yoga's ethical behaviours of the yamas and niyamas. My “SoulCollage® + Yoga Workshops" are developed on three principles. 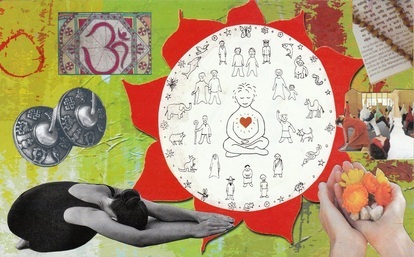 Firstly, all yoga, or yoga related concepts, can be depicted on SoulCollage® cards. Secondly, SoulCollage® enables the intuitive exploration and visual depiction of yoga and the yogic journey. Thirdly, yoga can assist the SoulCollager, physically, energetically, mentally, emotionally and spiritually, in their practice of SoulCollage®. My “SoulCollage® + Yoga Workshops” consist of an overview of SoulCollage®, card-making, card reading and group sharing + Yoga practices, meditation and/or Yoga Nidra (relaxation), yoga philosophy and discussions. All of this is designed around the chosen theme of the workshop. o "Chakras: Energy Centre Companions"
o "Yamas & Niyamas: Ten Ethical Principles"
o "Gunas: Three Qualities of Life"
o "Koshas: You are not Just the Body you Perceive with the Eyes!" My “SoulCollage® + Yoga Workshops" can be in the home, the community space, the organisation, the business setting, etc. Theme, content, duration and cost are all negotiable. Please email me and I will get back to you promptly to discuss. 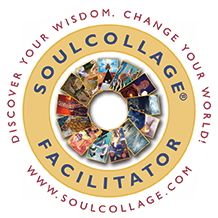 Would you like my full and undivided attention as a facilitator of your personal SoulCollage® practice? Would you like to work with SoulCollage® just you and me? Would you like to work with SoulCollage® in the comfort and convenience of your own home? It is possible to do any of my SoulCollage® Offerings as listed above, on a 1:1 personalised basis. If you are new to SoulCollage®, "SoulCollage® Dip" will be your first session. 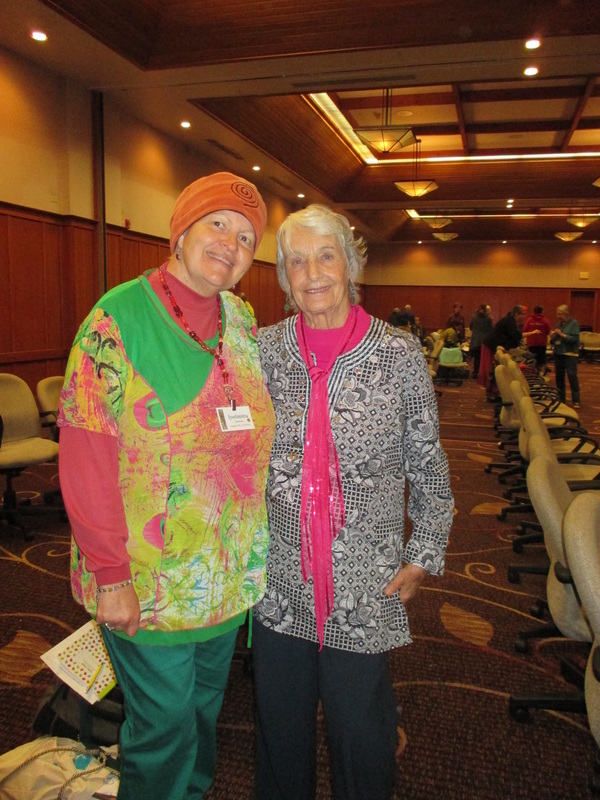 1:1 SoulCollage® sessions can be one-off or ongoing. Your choice. We can SoulCollage® in your home, my home, or a hired space (extra fee applies). Your choice. Content, number of sessions, session time and duration are all negotiable. I currently offer Personalised SoulCollage® in the Richmond-Tweed Region of NSW, Australia (also known as the Northern Rivers). 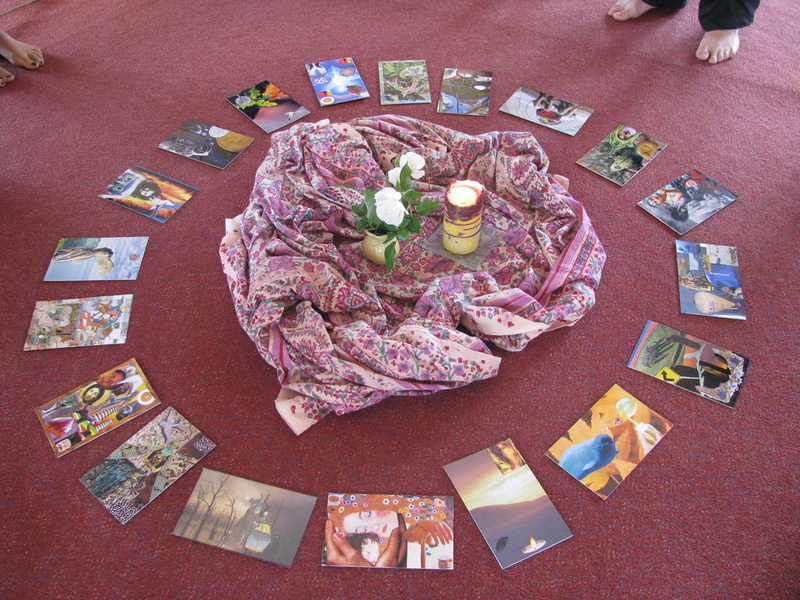 $45.00 for your personalised 3 hour SoulCollage® session. (Includes my facilitation and all materials). PLEASE NOTE: I am a trained SoulCollage® Facilitator and not a therapist or psychologist. SoulCollage® is therapeutic in nature and I can assist you in a creative and enjoyable way to "discover your wisdom, change your world", through my knowledge and experience of SoulCollage®. Where relevant, you will need to retain your association with your medical practitioners and therapists, as required, for your specific health and wellbeing needs. ​I currently have my online SoulCollage® courses in development. These online courses will be accessible to anyone, anywhere in the world and are self-paced. ​You will only need (1) an email address to receive course materials and correspondence and a Facebook account to enrol in the private SoulCollage® course group; and (2) your own SoulCollage® materials: blank cards, a selection of paper imagery from magazines, etc., scissors, craft knife and cutting board, and a glue stick. ◊ Check out the "Scheduled" page on this website to see my upcoming programs. ◊ Go to the "SOULCOLLAGE®" page for more information on this wonderful process. 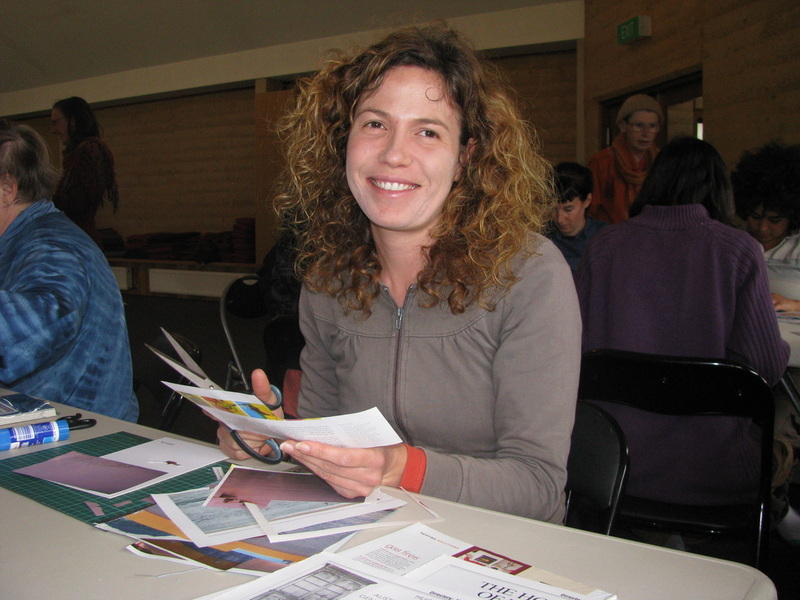 Some photos from my previous SoulCollage® workshops, retreats, and 1:1s around Australia. ...lots of happy, smiling and joyful faces! Thanks SoulCollage®! EVERYONE CAN MAKE SOULCOLLAGE® CARDS! No artistic talent or art experience is needed. which anyone can do, including you!